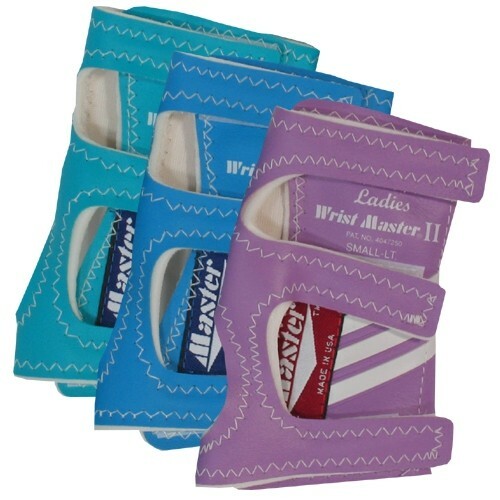 Ladies the original Wristmaster II is the #1 best-selling wrist support in the world! This support is designed for Left handed bowlers only and it fits and feels like a glove. If you're looking for a support to help keep your wrist "in line", this is just for you! Comes in 3 colors, Berry, Green, or Light Blue. The color is randomly selected. Hello Bobby! If you have any bowling gloves or wrist supports, I would recommend just purchasing the same size that you already have. If not, then I would recommend going to a local pro shop and trying a glove or wrist support on to get an idea of what you need. Then you can purchase this item in the size that fits you best. Due to the time it takes to produce the Master Lady Wristmaster II Left Hand ball it will ship in immediately. We cannot ship this ball outside the United States.